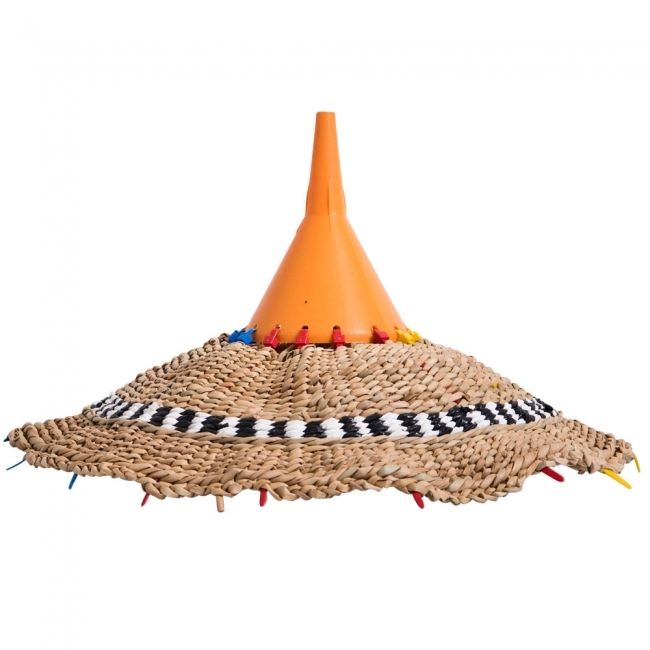 Funnel light shade made from river reeds and plastic funnel by makers from a community employment project in the Cape Town township, Dunoon. Melbourne’s Pan After is holding a one-day object shop in our library on the ground floor from 10AM to 5PM on Saturday 7 October. Pan After is hauling up a collection of carefully sourced and curated products from around the world. With a focus on ethically produced goods the Pan After range not only considers the aesthetic value of an item but also the process in how an item is made, who it is made by and the materials used. Sculptural-like baskets from Zimbabwe sit along side hand-made ceramics from Los Angeles and woven bags from a community project in Mexico – every piece tells a story.